I did an event in London this week with Nick Leeson, the “rogue trader” who broke Barings Bank in 1995. It was an absolutely fascinating encounter. He spoke candidly and purposefully to an audience of financial specialists about what happened to him and how it could have been avoided, but also where risk is managed now. It was a fine end to a very hard working and productive conference organised by the Manchester-based financial technology (Fintech) business AccessPay. If I took three things from the event it was these: Cash is still king, knowledge is power and disruption is everywhere. Just as my research earlier this year for the ICAEW on the changing role of accountants found, there is a platform shift in human behaviour that requires a far more nimble way of accessing information and accessing services and products. New ways of doing business are challenging these relationships every bit as Netflix and Uber are disrupting entertainment and taxis. 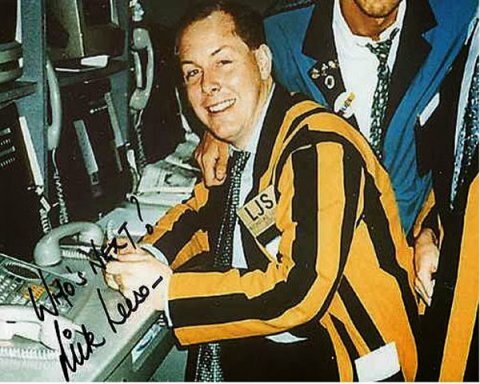 But as Nick Leeson’s talk demonstrated there is a human being at the centre of this digital world, hopefully making rational decisions and managed sufficiently within a complex system to mitigate against undue risk. When he joined me for a Question and Answer session we broadened the conversation to look at scandals like Enron and Volkswagen and how they can be prevented. As I arrived at the Barbican Centre at 7.45 that morning I had an inkling we were in for a good day when I saw a queue of people in sleeping bags at the front desk waiting to get in. I never knew Global Treasury services and communications protocols in the banking industry were so popular. Turns out they were actually there for the sale of tickets for Hamlet, starring Benedict Cumberbatch. Coincidentally, the previous day in London had been a board meeting for mine and Benedict’s old seat of learning, the University of Manchester. Our Alumni Advisory board had met at the Wellcome Trust, where we followed up with an open meeting for Manchester Alumni. We heard from General Secretary of the Students’ Union, Naa Acquah. In addition, Hian Seng Teng, President of the Alumni Association in Singapore and is extremely active across Asia, working with his counterparts in Hong Kong and mainland China, and also with the Alliance Manchester Business School’s Global Centres in Singapore, Shanghai and Hong Kong. It was a great occasion and really cemented my view that the experience of Manchester is an exceptional one. It was the second event this year where I’ve shared a stage with a real person who has had a major film made about them. The first was Frank Abagnale, who was played by Leonardo di Caprio in Catch me if you Can. Nick was of course played by Euan Macgregor in Rogue Trader. I’m going for the treble now – anyone know if Jordan Belfort is available? Or can I count Graeme Hawley as Roger Cashmore?